Midrash is the art of keeping an ancient text alive. The Rabbis were masters of drawing water from stone, of transforming the most mundane passages of Torah into luminous nuggets of spirituality. Probably anyone who has ever focused on the teachings of Jesus is aware that he was a product of the religious milieu that emerged in the 1st century of the present era. 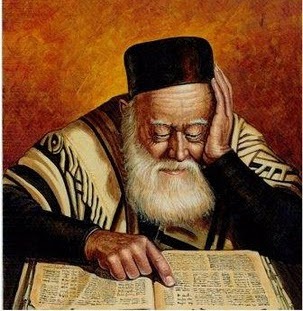 I sometimes complain that certain teachers and scholars in the realm of Messianic Judaism periodically “flirt” with taking some of the various texts compiled in the Talmud and anachronistically applying them, some composed many centuries after the Apostolic Era, to the letters of Paul and the teachings of Jesus. If we were to assume that the author of, for example, the Zohar (which is not part of the Talmud) spoke in the same voice as Jesus and the apostles and applied no other methods of examining how this could be reasonably and rationally accomplished, then we would be making a terrible mistake. I don’t say this is done routinely, but in reading or listening to lessons such as D. Thomas Lancaster’s sermon series Holy Epistle to the Hebrews (which he has been conducting for well over a year and the series shows no signs of abating), we must be cautious to make sure that when we apply midrashic methods of studying the New Testament epistles, we are not projecting the later voices of the Rabbis backward in time, making the writer of Hebrews speak lessons that he (or she) would not have known or intended. On the other hand, there is a way we can justify viewing Hebrews, or Paul’s epistles, or the Gospels, through a “midrashic lens,” or perhaps better said, a “mishnahic lens,” so to speak, and I think that’s the point of Dr. Blizzard’s book Mishnah and the Words of Jesus. Instead of starting in the future and working his way into the past, Blizzard begins with the scholars and sages contemporary to Jesus or appearing just before and after him historically, and then works his way forward. Blizzard suggests, and I agree with him, that the teachings of Jesus were understood as completely consistent with the way the various Rabbinic branches of the normative Judaisms of his day were teaching. And as I’ve said before I think most of us in the Church don’t understand. Instead of reading the teachings of the Master with an eye on these first century Jewish “rabbinic methods of teaching,” Christianity in all of its various flavors, imposes its own interpretive traditions on the text, forcing anachronistically, meanings onto and into the words of Jesus, Peter, Paul and the other New Testament teachers, that were formulated (at best) decades after the end of the Apostolic Era, but more than likely many, many centuries after, and these traditional interpretations are wholly detached from anything that would have occurred in the thoughts of Jesus and the apostles. 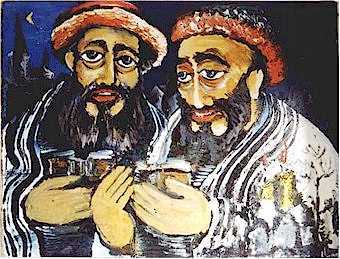 In this instance, Dr. Blizzard is referencing associations between the teachings of Jesus as related to the Mishnah, specifically the sages Shammai, Hillel, and Gamaliel, as related to passages in Torah that speak of generosity and compassion toward the poor, which modern Judaism refers to as tzedakah or charity, but with the underlying meaning of justice and righteousness. However, I think Blizzard’s words can be applied to a much wider scope and indeed, to many of the common teachings of the Church about the meaning of the Bible, particularly in terms of the continuance of Torah in the lives of the Jewish people, the continuance of the Jewish people in God’s love and plans for the present and future, and the continuance of Judaism as a valid lifestyle by the Jewish people of devotion to and worship of the God of Israel. 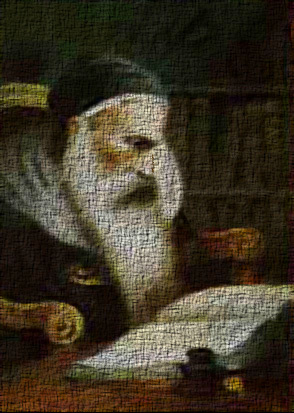 If, on the other hand, the Church could see the strong parallels between the teachings of Jesus, his contemporaries, and those Rabbis who closely followed him in history, such as Rabbi Yochanan ben Zakkai, who was present at the fall of Jerusalem and is considered single-handedly responsible for formulating “the direction that Judaism would take” after the destruction of Herod’s Temple and the great exile of the Jewish people into the diaspora, then perhaps we could initiate a desperately needed corrective action in the Christian Church and in Christian hearts. How important it is that we study rabbinical literature, the sayings of the rabbis. The way in which they teach, the word pictures they paint, the images upon which they draw, because it gives us an understanding of the words of Jesus, the ideas, the concepts upon which he is drawing. In many instances, without a knowledge of this background, because of the images, the idioms, the metaphors, etc., so widely used by the sages and rabbis, we are unable to understand the depth, the meaning, of the words of Jesus. It’s not only ironic but profoundly sad that most churches reject the very lessons and teachings that would enable the clergy and laity to understand Jesus Christ the most. By rejecting the teachings of the Mishnah which sit at the very heart of the various ancient and modern streams of Judaism, Christianity rejects the very heart of the meaning of the teachings of her Savior. Chapter 4 of Blizzard’s brief but powerful book is a tour de force of comparisons between the specific teachings of Jesus and quotes from the different rabbis recording in the Mishnah. There are too many of them for me to record here, but fortunately, Blizzard’s book is quite affordable (especially the Kindle version, which can be downloaded in seconds), so I heartily recommend you purchase a copy and read it for yourself. I want to emphasize that the ideas reflected here in the Chapters of the Fathers can be found in the teachings of all the New Testament writers, which, again, is just what we should expect. Why? Because they are all Jews. They all came from the same background, the same religious and spiritual heritage. Blizzard follows the thread of tzedakah, which as I said, in Judaism is associated with charity, righteousness, and justice, through the teachings of Jesus, the rabbis of the Mishnah, and across the Torah, the Prophets, and the Writings to paint an overarching landscape of God’s message to human beings. This is a concept I harp on with some regularity; that we must engage the Bible as a single document that is inexorably interconnected, rather than “cherry pick” various verses and passages of scripture willy-nilly as they seem to map to our preconceived theologies and doctrines, and then string them together to create the illusion that the entire theme of the Bible is represented by those few bits and pieces we’ve jumbled into our religious collage. I think by now, most Christians realize that you can prove just about anything if you connect the dots between carefully selected words and phrases in the Bible. But that doesn’t mean the Bible as a cohesive unit really says what you are making it say. I know. I could be accused of the same thing. After all, I have a point to prove just like everyone else. But although I think there’s a lot of truth in Blizzard’s belief that the Bible’s central theme is tzedakah, I have been trying to make the argument in my various blog posts, that the central theme is actually about God’s desire and His plan to unite all of humanity under a single King, and for God to dwell among His people without requiring that His Jewish people stop being Jewish or stop practicing Judaism in order to bring honor and glory to the Jewish Messiah and the God of Israel. I should mention at this point, that a good friend of mine, once a Jewish believer, has rejected Jesus as the Messiah, in part, because of what Dr. Blizzard said in the above-quoted paragraph. My friend spares no effort in explaining on his blog what he sees are the errors in Christianity. Blizzard then maps the teachings of Jesus and the sayings of the rabbis in the Mishnah, back to what he sees as the central emphasis of Jesus and of Judaism which is the care and concern for other human beings as the primary means of living our faith and worshiping God. In addition to the focus on Jesus as Savior, the Church tends to focus on the concept of preaching the gospel, which translates into God’s personal plan of salvation for the elect. And that’s where it stops for a lot of churches. Fortunately, Blizzard’s rebuke of Christianity doesn’t include each and every church. Many churches, such as the one I currently attend, focus heavily on studying the Bible as a means of knowing how to serve God and other human beings, primarily through acts of charity and support of missionary efforts to some of the more desperately needy people groups on our planet. In fact, one of the things some churches do really well are acts of tzedakah as well as something called Gemilut hasadim, which can be translated as acts of loving-kindness. Christians get the idea of grace from this Hebrew term. The difference is that tzedakah or acts of charity can be performed only on the poor, while gemilut hasadiam, which involves giving money or a personal service, can be done for anyone. However, Blizzard’s distinctly “Jewish” presentation of these concepts alongside the teachings of Jesus and the Mishnah, provide an exceptionally fresh look at an essential something that often goes stale in many churches or in many individual Christian hearts. By linking something that the church actually does with how vital those actions are in ancient and modern Judaism, Blizzard successfully creates a link between what else is vital in Judaism, especially the Judaism of the time period around the Apostolic Era, and what the Church isn’t doing and isn’t teaching because these are things the Church has ultimately dismissed as having been “nailed to the cross” with Jesus. Roy Blizzard’s book Mishnah and the Words of Jesus is a perfect example of why I find it absolutely necessary to access my faith in Christ by way of studying Judaism and, in my case, particularly Messianic Judaism. I’m certainly not Jewish, but it is quite possible and even desirable to be a Christian and to study Messianic Judaism in order to understand and then practice what I learn from the Bible. There were quite a number of other gems in Blizzard’s book, but I should limit my review, not only for the sake of length, but to permit readers such as you to allow “Mishnah and the Words of Jesus” to unfold itself in your own experience. However, I do want to say something else in wrapping up this blog post. It may sound like I’m distinctly “anti-Church” and interestingly enough, “anti-Christian,” even though I identify myself as a Christian, a disciple of Christ or Messiah. This isn’t actually true. While I point to the warts and moles I see on the Church and which, for the most part, the Church choses to ignore, I also see the beauty that has been maintained among those whose highest goal is to wholeheartedly serve Jesus Christ by serving humankind. I’ve written God Was In Church Today and In Defense of the Church recently as much to remind myself as to remind everyone else that the Church is good. 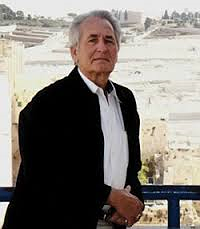 But in the words of Boaz Michael of First Fruits of Zion (FFOZ), “the Church needs to change.” Hopefully, scholars such as Dr. Roy Blizzard, Messianic Jews such as Boaz Michael, and even ordinary, everyday people like you and me, can contribute to that change for the sake of Israel and in the service of God. One final thing. At the top of this blog post, I quoted Ismar Schorsch briefly commenting on Midrash. It is true that Midrash and Mishnah are not the same thing but they do have something in common. They both represent a way of thinking about God and a way of communicating about God as we study the Bible. You can study the Bible apart from any acceptance and understanding of the rabbinic sages and still learn a lot, but I believe you will not only miss a great deal of important detail in your study, but you’ll perpetuate a system of misunderstanding the Bible’s panoramic message, especially about God, Israel, the Jewish people, Judaism, and the role we non-Jews play as the crowning jewels of the nations. For the sake of Israel, and for the sake of the return of the Messianic King, we owe it to ourselves, to the Church, to Israel, and to God to learn all we can learn by setting aside our “institutionalized Christian learning,” and stepping outside the box, so to speak. If you’re not sure how to begin, Dr. Roy Blizzard’s Mishnah and the Words of Jesus is a good place to start. 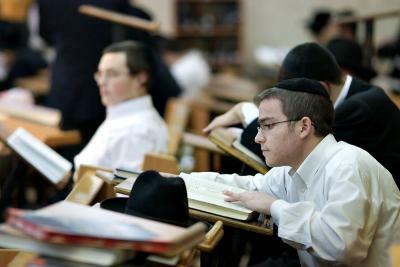 Lech Lecha: Did You Hear the One About the Jewish Student and the Priest? The Lord said to Abram, Go forth from your native land and from your father’s house to the land that I will show you. Abram went forth as the Lord had commanded him, and Lot went with him. 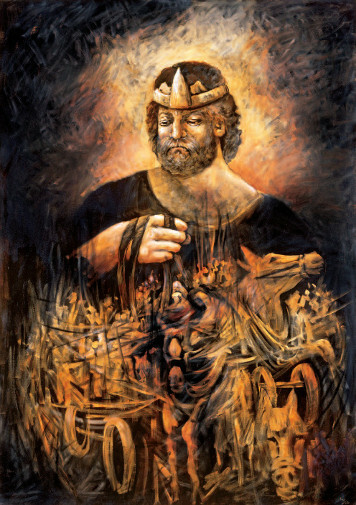 Abram was seventy-five years old when he left Haran. Abram took his wife Sarai and his brother’s son Lot, and all the wealth that they had amassed, and the persons that they had acquired in Haran; and they set out for the land of Canaan. When they arrived in the land of Canaan, Abram passed through the land as far as the site of Shechem, at the terebinth of Moreh. The Canaanites were then in the land. 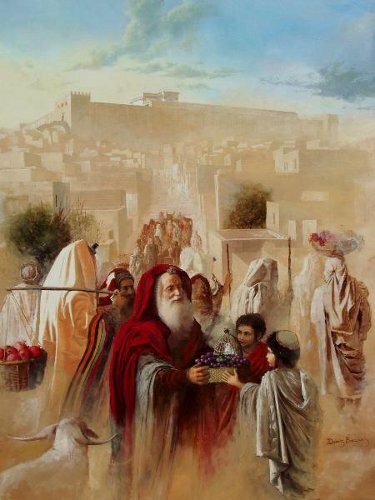 Thus Abraham took his first steps on a journey that would result in the vast and astonishing progression of the Jewish people across the grand panorama of human history. Abraham the Hebrew “crossed over” not just a geographical boundary, but a spiritual one. I’ve said on a number of occasions that I thought one of the missions of the Christian church was to provoke zealousness among the Jewish people, to inspire Jews to return to Torah, return to Judaism, return to being who God made them to be. 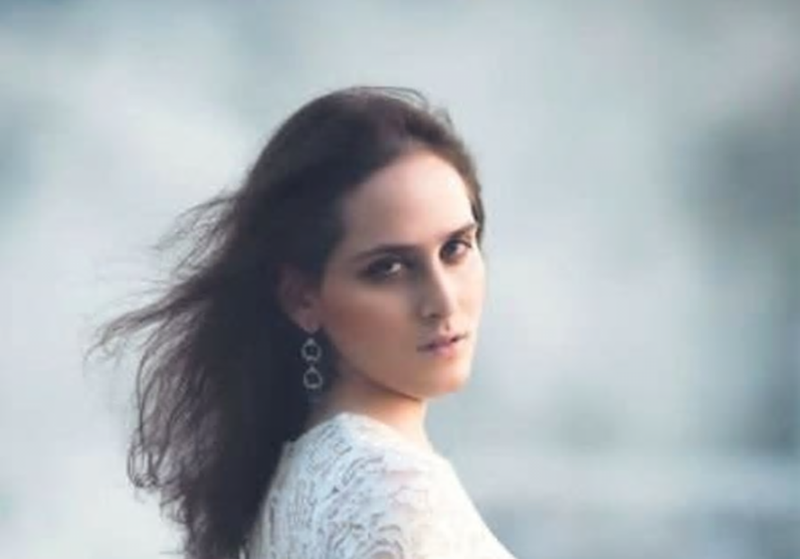 Although I don’t believe God would allow it, there is a tremendous and ongoing concern, especially in America, that the Jewish population will continually assimilate, and ultimately vanish from our national landscape. 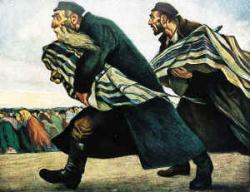 And while many Christians believe that the only hope for the Jewish people is to convert to Christianity no matter what, there are some Jewish believers who insist that only when the Jewish people repent and return to Torah that the Messiah will finally return, and all of God’s promises to Israel and the people of the nations who are called by His Name (Amos 9:11-12) will finally come to pass. 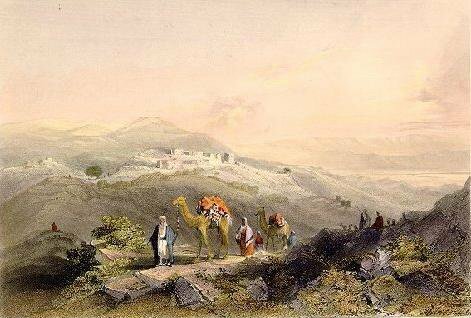 In this week’s Torah portion, Avraham (Abraham) makes his way to the land of Israel and begins the journey of the Jewish people through history. Along that path we have seen nations rise and fall and have survived them, even through massive persecution. There were 2 million Jews during the Roman Empire 2,000 years ago. Demographers state that though there are approximately 14 million Jews identified worldwide, there are possibly 400 million halachic Jews (Jews whose mother’s were Jewish or converted according to Jewish law). Many Jews have fallen by the wayside of history. 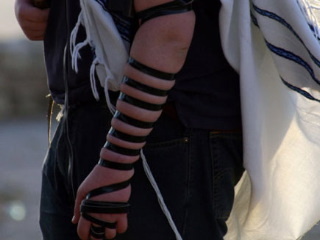 This week I share with you a story of one Jew who made his way back to identifying with the Almighty, the Jewish people and the Torah … albeit in a rather unusual way. The priest was surprised that he had a Jewish pupil and asked Lance if he had ever studied the Five Books of Moses with Rashi, the great commentator, or if he had ever learned the Mishna, part of the Talmud. When Lance told him “No,” the priest offered to teach him. For an hour a day after school, they learned together. Protestantism struggles with how to support the Jewish people but gets hung up on Jews who are not in the Church. They can’t always see that we can also “provoke zealousness” and that Messianic Judaism is the most likely vehicle for doing so. If Jesus is Jewish and the Messiah, then his Jewish followers will not abandon being Jewish and will not neglect Torah as his disciples. Abraham took all that he had and, at the command of God, went to the Land of Promise in obedience. God put Lance and a Priest together and using a highly unlikely set of circumstances, sent one lost Jewish person on the correct path as well. According to Rabbi Packouz, Lance continued pursuing his Jewish studies and presumably became observant. If you are a Christian, what does this tell you about what God wants you to do? If you are Jewish, where should you be going? Believe it or not, this week’s message was not inspired by the fact that the Catholic Church has chosen a new Pope; it just offers a convenient contrast. As you probably know, there is, in their beliefs, a doctrine of papal infallibility. When the Pope teaches the rules, he is always right. It is natural to assume that Judaism has something similar. This is especially true, given the Torah’s demand that we listen to the Rabbis and Judges, and not deviate “right or left” [Deut. 17:11] from what they say. I’ve been hesitating about writing this particular “meditation” because it has the potential to be rather controversial. As part of my conversations with Pastor Randy, we’ve been discussing what is Torah? That’s an amazingly difficult question to answer. It’s not just the Five Books of Moses, and I believe that it should be at least the entire Tanakh (Old Testament). I believe a great deal of the New Testament and certainly the epistles of Paul should be considered midrash on Torah, specifically in relation to the teachings of Messiah. As I’ve said before (and will say again when I publish “Four Questions, Part 4” tomorrow), Pastor Randy believes that the Torah is too difficult to observe perfectly and in fact, has always been too difficult to observe. This is pretty much what most of Christianity believes, and along with that, the church sees the primary purpose of Torah as always pointing to Jesus. Once Jesus came, the purpose of Torah expired and grace was substituted. I don’t happen to believe this, and my understanding is that Jewish people, including those who are disciples of the Master, remain obligated to the Torah of Moses. But I’m not here to talk about the Torah as such (I’ll do that tomorrow), but rather how it is applied through Rabbinic interpretation and authority. This is the really touchy part. As Rabbi Menken writes, there’s a tendency to view the sages in a manner similar to how Catholics view the Pope, as infallible and that all Rabbinic rulings are automatically correct. But is that really true? Rabbi Menken continues. We see from this week’s reading, though, that this is definitely not the case. The Torah prescribes special atonement for when the High Priest, the King, or the Sanhedrin [Lev. 4: 13-21], the High Rabbinical Court, makes a mistake. In other words, the Torah highlights for us that it is possible for the Sanhedrin to be mistaken. This is not about a small matter, either. 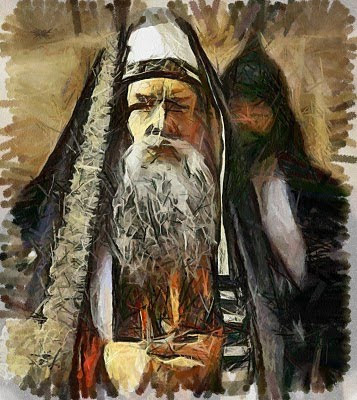 The commentaries say that the mistake described here is one in which the Sanhedrin teaches that it is permitted to do something, and the Sanhedrin later realizes that the behavior is prohibited — so much so that a person committing the act deliberately would suffer the punishment of Kares, spiritual excision [the exact definition of this is disputed, but severe]. 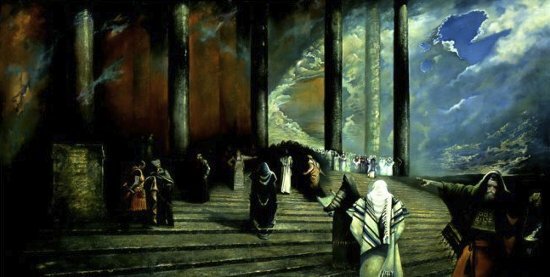 Even in matters of religious law, where the Sanhedrin’s supreme authority is undisputed — even there, they could make a mistake. So why, then, does the Torah tell us to listen to them? They could, after all, be leading us in the wrong direction! That is an extraordinarily good question. It’s also the question that comes to the minds of just about all Christians, including many people in the Hebrew Roots movement who believe that the Bible contains everything necessary for a Jew to observe Torah without relying on external interpretation or additional instructions. The Gemara continues to resolve this halachic conclusion, based upon yet another Baraisa which validates such a lechi. This give and take, where the Gemara proves one point of view, and then immediately concludes the halachah according to the opposite opinion is relatively uncommon. A computer check reveals that it appears only five times in Shas (here, Kesuvos 41b-twice, Bava Kamma 15b-twice, Bava Metzia 22b). That didn’t help. I admit, the complexities of Talmud escape me most of the time and yet religious Judaism in all of its variants, depends on these rulings, laws, and judgments for so very much. My question is basic. Is literally every single ruling, judgment, halachah, and word of every sage everywhere across time valid and binding in religious Judiasm, or is it possible that at some point, the sages have gone too far? Kapparot is a custom in which the sins of a person are symbolically transferred to a fowl. It is practiced by some Jews shortly before Yom Kippur. First, selections from Isaiah 11:9, Psalms 107:10, 14, and 17-21, and Job 33:23-24 are recited; then a rooster (for a male) or a hen (for a female) is held above the person’s head and swung in a circle three times, while the following is spoken: “This is my exchange, my substitute, my atonement; this rooster (or hen) shall go to its death, but I shall go to a good, long life, and to peace.” The hope is that the fowl, which is then donated to the poor for food, will take on any misfortune that might otherwise occur to the one who has taken part in the ritual, in punishment for his or her sins. 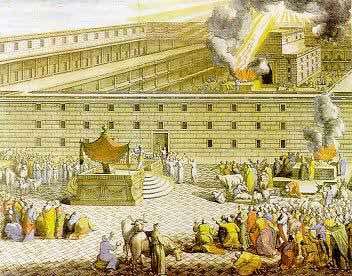 The Torah, particularly the book of Leviticus, provides an extremely detailed description of the various sacrifices to be given at the Temple in Holy Jerusalem, and under what circumstances a Jew must present said-sacrifices. To the best of my knowledge, none of them involve the use of a chicken as described by the modern rite of kapparot. Dr. Schwartz details some of the Jewish objections to this practice. Some Jewish leaders felt that people would misunderstand the significance of the ritual. The belief that the ceremony of kapparot can transfer a person’s sins to a bird, and that his or her sins would then be completely eradicated, is contrary to Jewish teachings. For, if the ritual could remove a person’s sins, what would be the need for Yom Kippur, the Day of Atonement? The Mishneh Brurah, an eminent contemporary commentary on Rabbi Joseph Caro’s classical codification of Jewish law, explains the significance of the ritual. Judaism stresses that a person can’t obtain purity from sin, and thus obtain higher levels of perfection, without repenting. Through God’s mercy, we are given the Divine gift of repentance, so that we might abandon our corrupt ways, thereby being spared from the death that we deserve for our violation of the Divine law. By substituting the death of a fowl, one will (hopefully) appreciate G-d’s mercy and be stirred to repentance. By no means, however, does the ritual and the slaughter of the bird eradicate one’s misdeeds, even though the bird is donated to the poor. 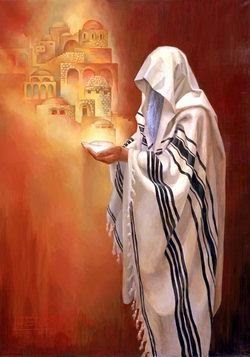 If a Jewish person is a disciple of the Master and has studied and accepted the teachings in the Apostolic Scriptures, he or she understands that this particular ritual is not meaningful or necessary. The sins of anyone, Jew or Gentile, who has accepted Jesus (Hebrew: Yeshua) as Savior, Lord, and Messiah, have been forgiven. He died, paying the price for our sin as the ultimate atonement, and when we repent (and we must repent) of our own sins, turning away from them, and turning to God, we are forgiven once and for all without the need for further sacrifices. So how are we to reconcile the rulings of the sages in relation to the kapparot involving chickens during Yom Kippur and the reality of the Messiah? The better question is, how are Messianic Jews to reconcile this along with any other Jewish practices that seem to contradict the teachings and life of the Master? The Messianic Jewish Rabbinical Council has established official halachah for its member synagogues and individual members, but that’s hardly a universal standard. On the other hand, how halachah is applied across the rest of the religious Jewish landscape is not entirely consistent either. 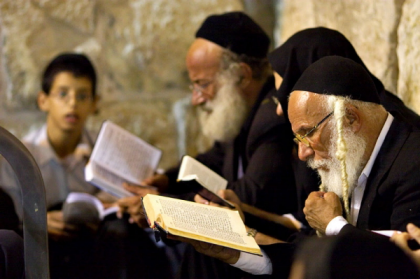 For example, we can point to the radically extreme differences between how the Haridim vs. Reform Judaism live out Jewish lives they believe are consistent with observing Torah. Part of the problem is that we can “interpret” the Bible to mean just about anything. If we give the Rabbinic sages (or anyone) carte blanche to establish binding interpretations and halachah for their specific streams of Judaism, are they always consistent with God’s intent for the Jewish observance of Torah? There’s no way to know for sure. Well, there’s one. Even as Jesus confirmed that the scribes and Pharisees did indeed have the authority to create binding halachah upon the Jewish people of his day (see the paper Matthew 23:2–4: Does Jesus Recognize the Authority of the Pharisses and Does He Endorse their Halakhah? (PDF) by Noel S. Rabbinowitz, JETS 46/3 (September 2003) 423-47 for details), he also criticized them for failing to follow their own rules. However, he didn’t agree with each and every one of their rulings. There are some modern Jewish rituals and customs that contradict the reality of the risen Messiah. Jewish ritual and tradition is not applied with universal consistency across all religious Jewish communities and across time. Historically, Jesus affirmed the right of the ancient Pharisees and scribes to establish binding halachah for Jews. Historically, Jesus refuted some of the halakhic rulings by the Pharisees and scribes and offered correction and criticism when necessary. At least one modern Messianic Jewish body has offered an adaptation to Jewish halachah that is more consistent with the reality of the risen Messiah. The nations will send their emissaries to the King Messiah, and the King Messiah will teach the world how to live in peace, and how to want to live in peace. Then, everyone in the world will enjoy eternal peace, for as long as this world will last. The great Rabbi, Rav Shlomoh Freifeld, of blessed memory, said in a talk he once gave that I attended that the Messiah will be a great teacher. He will restore the religious court system of Israel and establish Jewish law as the law of the land (Jeremiah 33:15). It is my understanding that one of the things many Jewish people believe the Messiah will do is to teach Torah, to teach the correct interpretation of Torah and how it is to be lived out. According to BeingJewish.com, as we saw above, he will even teach the Gentiles peace. This is Rabbi Menken’s solution to understanding the puzzle. One answer has to do with the power of unity. 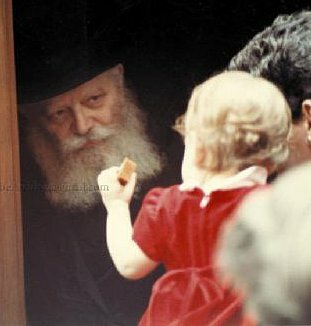 Different customs and practices are wonderful, but there has to be underlying agreement on “the basics.” One of the problems with calling different Chassidic groups “sects” is that a sect is “a dissenting or schismatic religious body.” Chassidic groups may be led by different Rebbes, but they don’t rewrite the rules. The disagreements of today are disagreements about shapes of branches on individual trees within a massive, unified forest. And there is another answer, which requires still more humility. It is all well and good to say that everyone is fallible — but who is more likely to be making a mistake? 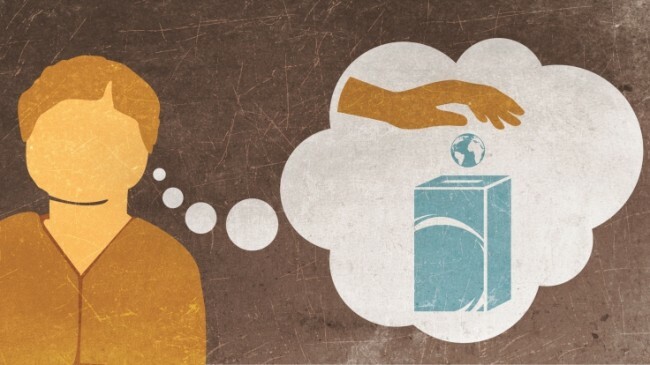 The Torah gives leadership to people who dedicate themselves completely to Torah study, to learning the Torah’s “way of thinking.” Such people are inherently less biased by the latest news reports and the wise opinions of the chattering class, as we are. We recognize that it is much less likely that they will make a mistake, and that is why we trust their guidance. 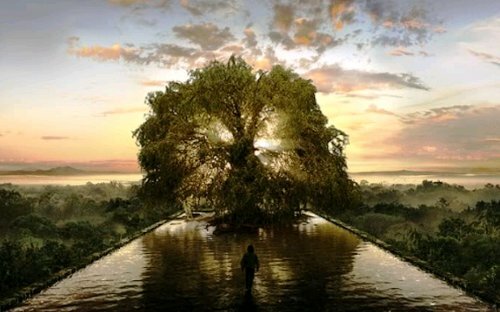 Is there a “unified forest” of Torah? I think there must be, otherwise there is nothing for Jews to observe except traditions (the shapes of branches on the individual trees); there is no root, no foundation, no sense of an absolute God who has core standards that are as unchanging as He is. Beyond a certain point, we can’t simply re-invent the Bible to fit our modern sensibilities so that they agree with whatever “politically correct” causes that may be popular this week, this month, or this year. If we did, our faith (and our God) would be no more consistent or eternal than the shifting viewpoints of a political party or social agenda. In fact, far from being enslaved by the law, Jews were enamored of it. We cannot take our leave of the subject of Torah without expressing this most characteristic sentiment of Jewish literature – the love of Torah. 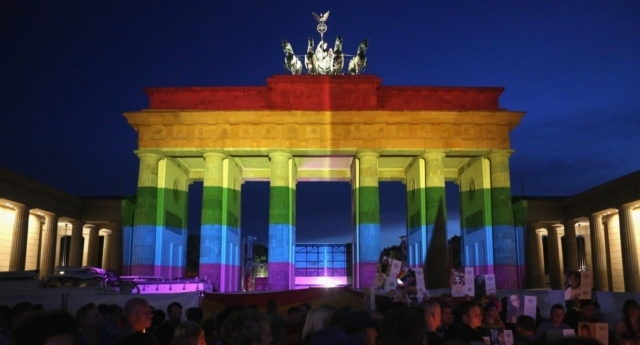 You may ask: can a people “love” a law? Yet, that is the exquisite paradox inherent in the concept of Torah – it is respected and studied and feared, while it is loved and embraced and kissed. All at once. There is no good in this world – no ideal, no blessing, no perfection, no glory – unless it is associated with the law. To Jews, the law is mayim chayim, refreshing, life-restoring, living waters to Jews; the sweetness of honey and milk, the joy and strength of wine, and the healing power of oil. It is an “elixir of life” that brings healing to all. In Acts 15, Peter called the Law a burden but in Acts 21, Paul defended his observance of the Law. We also see in that same chapter that many of the Jews in Messiah were zealous for the Law. And God, through Moses, said this about the Torah. I think that for the Jewish people, there is an “ideal” Torah, a Torah that God intends for His people Israel. As we’ve seen in the record of the Bible, all things being equal, human beings will mess up a free lunch. We take everything God gives us and turn it on its side, we fold, spindle, or mutilate it, drag it through the mud, drag it through our biases, prejudices, and personalities, drag it through our theologies, our doctrines, our translations, and eventually on the other side, we come out with some approximation of what God wants us to say, do, and be. How close are all of our approximations to the desires of God, how near is our fidelity to the original? Opinions vary widely. It’s not that we are dishonest and it’s not that we don’t want to do His will as opposed to our will (most of the time, anyway), but we are human beings. Everything we are as flawed, mortal beings gets in the way of everything He is as a perfect, immortal God. That’s where Messiah comes in. Being human and divine, he can provide (and has provided) the correct “interface” for us. He is a teacher. When he comes, whatever we’ve gotten wrong, he’ll help us understand correctly. If there’s an answer to how the Law is infinitely accessible, and a delight, and a light, and to be loved by those who have received it from Him, that answer comes on the clouds with Messiah. God is a teacher.